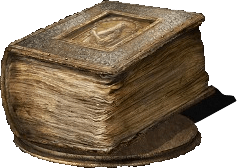 Braille Divine Tome of Carim is a Key Item in Dark Souls 3. A sacred braille tome from Carim, filled with advanced miracles. Give to a storyteller to learn advanced Carim miracles. In the Way of White, there is a tradition of placing great faith in the words of the blind, and braille tomes are not unusual. How is the trivia part a "translation error"? "Dot-words" is literally what Braille is, it&apos;s just that the word "Braille" isn&apos;t used in Japanese to describe what we know as "Braille" in English, they instead use "dot-words" which is more of a description of what Braille is. What a surprise isn&apos;t it that different languages use different words to describe things, huh? Are we certain this game isnt on earth? Go to the archdragon&apos;s peak and look for the moon, it looks an awful lot like our moon. Changed the Trivia by crossing out the blatantly incorrect information and separating the two thoughts, as well as adding a proper reason as to WHY it is incorrect. I&apos;ll leave it to a mod or admin to decide if it should be removed. that "trivia" is utterly stupid and should be removed. it&apos;s a fantasy video game, literally NONE of the weapons for instance make sense if you try to imagine how they came about outside of real-world historical context. might as well put in the trivia of every weapon, "likely a translation error, as this weapon was invented at such and such a time at such and such a place, making it impossible to exist in Dark Souls". Please provide a video on how to find this item. Yeah... I don&apos;t think that a Braille tome, that describes being important to the blind, is really a translation error.Time isn&apos;t constant in the Dark Souls universe either, so even if you apply real world logic to something that really doesn&apos;t need real world logic to make sense, it would still be wrong, as all time happens at once in the world of Dark Souls 3.